Digadz is a genuine paid to click site that has different working method comparing to other PTC sites. Being a newbie it’l take days to learn about digadz. Unlike normal PTC sites you gotta accumulate points to receive value adz i.e you cannot directly earn money from day 1, but after few days you can earn many times more than other ptc sites by increasing your level. Get an idea how to join, work and earn money through digadz. WARNING: Currently digadz is facing some problems. As a well wisher of my visitors, I advice you not to join digadz now. I will remove this message when every thing goes fine. In mean time to learn more about a site similar to digadz. Also, learn about the revenue sharing PTC where you can earn very quickly. Work in smart phone – Digadz mobile. Click here to register – DIGADZ. 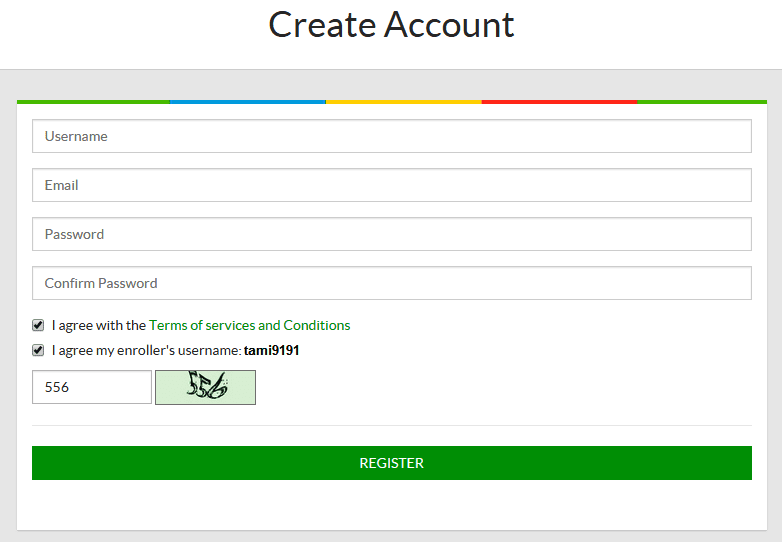 Choose your desired username and password, enter your e-mail ID. Agree their terms & conditions and click register. As said earlier you will not receive value ads from day 1. To receive value ads you should accumulate points. 1 dig point = $0.001. You can earn 120 points per day. If you don’t have money in your pocket, work in traffic monsoon and earn $1 in five days. Use that money to invest in digadz. Similarly use traffic monsoon to get some free referrals. The simple way to accumulate points is by buying points. You can get 1500 points for $1. If you buy ads for $1 you will get value ads worth $1.50 i.e. if you invest $1 you can earn $1.50. If you want to get points without investing you have to do the following steps and its very simple. Click dig points on the sidebar that is shown in the above image. 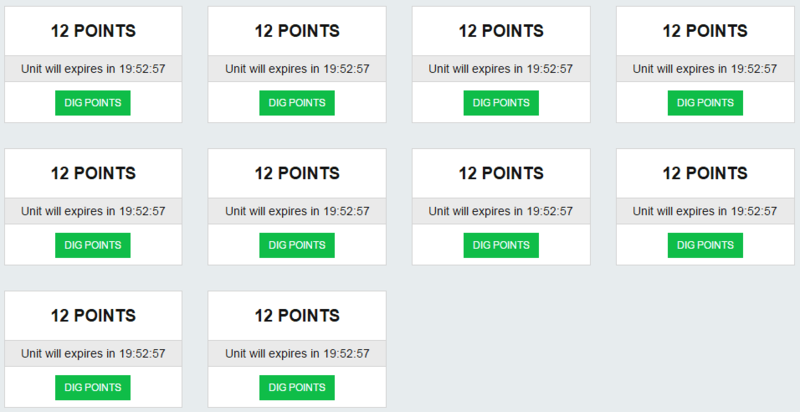 Once you click dig points or prolong you will get ads that can earn you dig points as shown above. By clicking each ad you can 12 dig points. To start just click dig points. You will be taken to the page as shown below. Click unlock points and not check this out. After clicking unlock points the advertisement will load as shown below. Just stay in that page till the timer ends. Once the stay time completes a series of pictures will appear as shown below. Click any one of the repeated image to get credited. This verification is made to prevent bots. Once you click the correct image you will get confirmation message as shown below. Dig points will be automatically added to your account. Just click close windows and continue the same to accumulate more points. How to earn real cash/money in digadz? You need at least 800 points to receive value ads or the ads that pays you money for clicking. So you can buy 1500 points for $1 or you should click at least 67 dig point ads to receive your first value ad. Check the sidebar to see if any dig value ads are available. Once you cross 800 points you will receive dig value ads as shown below. Click the dig value and follow the same procedure as you did to accumulate dig points. Filtering is the special option in digadz which is used to prevent wasting of your points to lower value ads. 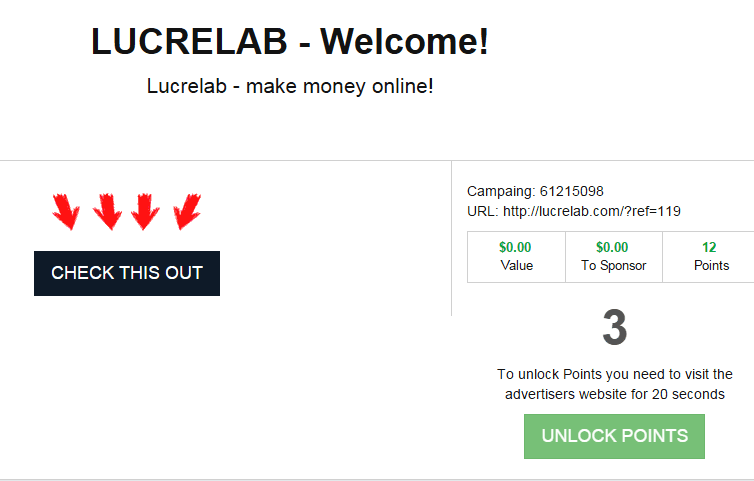 That is 1 point is equal to $0.001, so if you receive $0.001 value ad you will lose 1 point. You can prevent receiving lower value ads such as $0.001 and set to receive only higher value ads. You have chances of receiving value ads up to $5. After filtering you will receive high value dig ads as shown below. Digadz rewards their members with dig bonus. To qualify for dig bonus you should click at least 10 qualify ads. The next day you will bonus as shown below and you can claim only on that day. Just click claim bonus. Once you click you may get points or real cash. Refer your friends or anyone to receive referral commission. Digadz pays you 10% commission from your referral ad purchase and 5% commission from your referral’s ad click. Your earnings are processed through any one of these payment processor Paypal, payza, solid trust pay, perfect money or Ego pay. The minimum payout amount is $5. Increase your level to receive higher value ads. You can increase up to 15 level. The first priority will be given to the high level members. Once your level increases you can earn more comparing to other ptc site, where you will receive same value ads even if your are trusted member for years. Learn about the PTC site similar to digadz – Paidverts. Click here to join – DIGADZ. Tags: How to earn money in digadz, How to receive more dig value adz, how to work in dig adz.